With respect, courage and commitment, Forget Me Not honours the rights of every child and, works to ensure children are thriving, vibrant and connected to family, community and opportunity. We exist to prevent children and young people around the world from being displaced through investing in innovative initiatives that keep children within their families and communities. We grow our impact through leveraging local partnerships on the ground in-country, raising community awareness and advocating for change as we learn. We have unfaltering commitment to strengthen healthy families and communities that value education, and empower women and children to be their very best. Read our latest Annual Reports here. The number of orphanages across the developing world has grown dramatically in recent years. More than 80% of children in these orphanages are NOT orphans. Millions of children have been taken from their families, trafficked into orphanages and used to generate funds. This is a form of modern day slavery. Well-meaning people who are donating to orphanages are unintentionally fuelling the Global Orphanage Crisis. The more donations flood into orphanages, the more orphanages open and the more children are separated from their families to fill their beds. 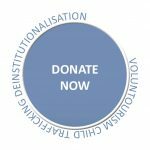 Orphanages do not exist in developed countries because over 60 years of international research has proven that orphanages and institutionalisation has a serious and lifelong impact on children’s physical and psychological development. Forget Me Not is a founding member of ReThink Orphanages, a cross-sector network that aims to prevent the unnecessary institutionalisation of children by shifting the way Australia engages with overseas aid and development. ReThink Orphanages Network is represented by members from international aid and development, philanthropy, education and faith-based communities and is working with externals stakeholders from a range of sectors including government, media, and the travel industry. This diverse network is uniquely positioned to take action on issues related to the alarming numbers of children being unnecessarily institutionalised in developing countries. We want to end child trafficking into orphanages and stop the demand for ‘orphans’, through grassroots education and empowerment programs. Currently working in Nepal, India and Uganda, we give families every opportunity of staying together and help them become self-reliant. Our approach is holistic and child-focused. Our strategy is to work collaboratively building brighter futures for children through healthcare, education and family support. We believe children belong in families. By providing essentials for families to stay together, we believe children have significantly brighter futures. 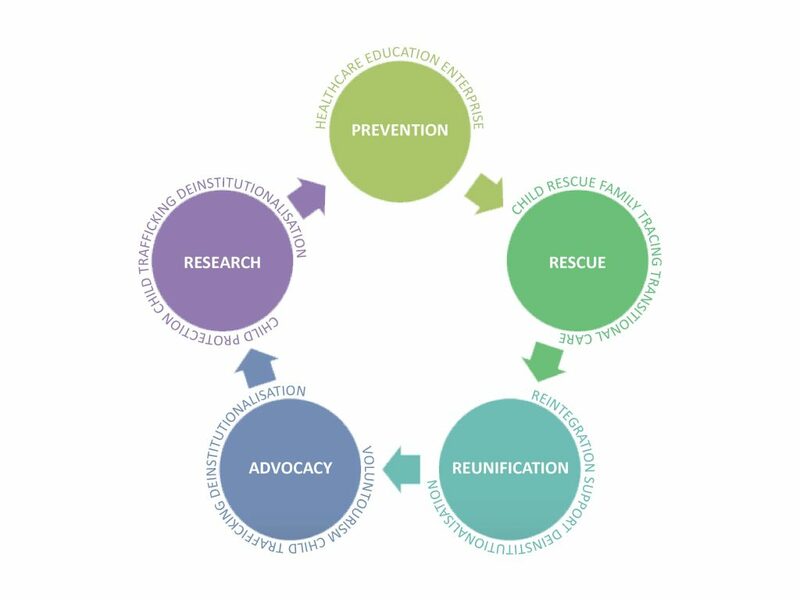 projectHELP focuses on Health, Education, Livelihood and Possibility. Our work here is child-focused and supports families to be self-sustaining so that their children can dive into the magical world of education head first! Our Brighter Futures Study Centres equip children with the skills and knowledge to enrol in state-schools, and spark a life-long love of learning by encouraging immersion in every magnificent learning opportunity that presents. Children are given countless opportunities to experience new things and dream bigger dreams. Sometimes children are unable to live with their parents. Kinship care offers substantial lifelong benefits because children are growing up in the loving care of family members who believe in them. Our Nanna Project helps grandmothers to raise their grandchildren by providing financial assistance with school related costs. Our program also provides mentoring and individual career counselling. Like projectHELP, the focus is on self-sustainability through health, education, livelihood and possibility. We also help keep families together through our Home for Life program, encouraging brighter futures for children and young people who would otherwise be at risk of trafficking or slavery or worse. We receive regular requests to manage the rescue, transit care, family tracing and reunification process for children in orphanages. In November 2009 Forget Me Not was approached with the plight of children in a children’s home in Uganda. The children were starving, in desperate need of medical attention and the school fees were unpaid. Forget Me Not took immediate action and removed the children working closely with the Ministry of Gender, Welfare and Social Labour. Upon removal, it was discovered that the children were victims of child trafficking and with this information in hand, we set about finding the family of each child. This led to our thorough investigation of the children in our care in Nepal. Who we also discovered were victims of child trafficking. We worked tirelessly to trace the families of every single child in our care and have been working in Nepal for over a decade now strengthening relationships with government, non-government, social welfare organisations and businesses. Our team is highly skilled with expertise in family tracing, reunification, monitoring, prevention and youth empowerment. FMN mentors locals from rural and remote villages to raise awareness with families and communities about child rights, child trafficking and family preservation through our Change Agent Program established in 2015. Highly skilled teams trek across all districts to the most remote rural and mountainous communities, searching for families of rescued children. Under the pretence of receiving the golden opportunity of education, families agree to have their child placed in an orphanage. Families are often promised the child will return home and liberate their families and communities from poverty. Our Team build relationships with each child, so they are safe and supported through the entire process from rescue through to family tracing and reconnection and preparations to returning home. Our transit home is a haven for children in the process of reintegration. The children staying here are safe and secure in a loving environment. They are provided with education, medical care, psychosocial support, nutritious food, and attentive and dedicated caretakers. Once we locate a family, we begin the process of reconnection. Before first introduction we talk with the family to better understand the original reasons why the child was displaced. Once we are confident that the reconnection will not put the child at risk, we facilitate the child meeting their family. We are careful to ensure the safety of the child at every step. After the initial meeting, families begin to rebuild their relationships through phone calls and visits. 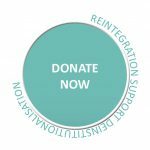 A series of assessments are conducted over time to analyse the optimal case management for each child – whether that is full reunification, kinship care or another alternative. Our major advocacy project is our Change Agent Program, recruiting and mentoring Change Agents to help end the global orphanage crisis. Change Agents educate families and communities on the harms of institutionalisation, empowering communities to better detect and report instances of child trafficking into orphanages. The Change Agent Program in Australia mobilises young people to: raise awareness about child trafficking into ‘orphanages’; warn people about the consequences of ‘voluntourism’; and, raise funds to enable FMNs anti-child trafficking work. FMN Co-Founder Kate van Doore is an international children’s rights lawyer and an academic at Griffith Law School, Australia. Kate researches the intersections of child rights, institutionalisation and trafficking. In 2017 the trafficking of children into institutions was recognised as a form of modern day slavery in the Trafficking in Persons Report issued by the U.S. State Department’s Office to Monitor and Combat Trafficking in Persons. In 2018 Australia made history to become the first nation in the world to recognise orphanage trafficking as a form of modern slavery, passing the Modern Slavery Bill through the House of Representatives. The Modern Slavery Act takes effect from 1 January 2019. In Nepal our Change Agents recently surveyed 1084 households in remote Rhee village. Results show child marriage is prevalent with girls marrying early in teenage years and young mothers facing complications in birth. The door-to-door survey with families revealed 69 children (including 49 post-quake) separated from their families into institutions, hostels and monasteries in Kathmandu, Dhading, Pokhara, Hetauda and other districts. Research informs our work on every level. We are constantly evaluating our programs and services to find out what is needed, what we are doing well and how we can improve, from the people we serve – directly! We are a valued partner of the Australian Government, receiving funding through an Australian Aid: Friendship Grant. 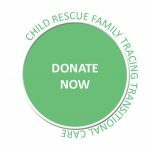 We are always looking for help to raise awareness about the ‘orphan trade’, and raise funds required to rescue children from orphanages so they can return to their homes and families. By supporting or sponsoring a Forget Me Not event you help raise vital funds to deliver our programs in Nepal, India and Uganda. Great things can be achieved through collaboration and aligning your self, workplace, social club or business with a great cause. We are recruiting a worldwide army of everyday heroes to raise awareness about the ‘orphan trade’, and raise the funds required to rescue children from orphanages (and whatever other ‘institutions’ are holding children without consent) and return each and every one to their homelands, safe with their loving families. Join our Rescue Crew and help us rescue and reunite children with their families as soon as possible. Forget Me Not has an excellent track record and exceptional team of social and youth workers, and counsellors, in place to fulfil the challenges of rescue, family tracing, reunification and well-being monitoring. We need you on our side, as Crew, in this work. The Rescue Crew contributes monthly to ensure that children are safe, sheltered and reunified with their families. We also believe education is key to brighter futures. You can donate to our Remarkable Teachers Fund which employs qualified teaching staff in our Brighter Futures Study Centres in India and funds school related expenses for children in all of our programs. 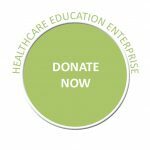 All donations are fully tax deductible. Choose your own unforgettable adventure and travel with us! Current event sponsorship opportunities include our annual Colour Stampede in Hervey Bay and Cycle for Brighter Futures in Southern India. By supporting or sponsoring a Forget Me Not event you help us raise vital funds to deliver our programs in Nepal, India and Uganda. Great things can be achieved through collaboration and aligning your self, workplace, social club or business with a great cause is good karma – and great for business! Check out our Facebook events page or Blog for upcoming events. Join us in India for our group Cycle for Brighter Futures. You can choose to direct sponsorship dollars to one of our exceptional projects. Your values may align perfectly with The Nanna Project (Uganda), projectHELP (India), Home for Life (Uganda) or our Change Agent Program (Nepal and Australia). Your investment is used to fund our projects for children and families. Forget Me Not is always looking for corporate partners who share our vision of families being reunified and children being nurtured. Partnerships start at $5k per annum for 3yrs and can be tailored to meet your specific needs. Let’s create something unique together – email FMN CEO Andrea Nave and let’s get the ball rolling! Prominent Australian fashion label Boom Shankar is a passionate supporter and valued partner of Forget Me Not.